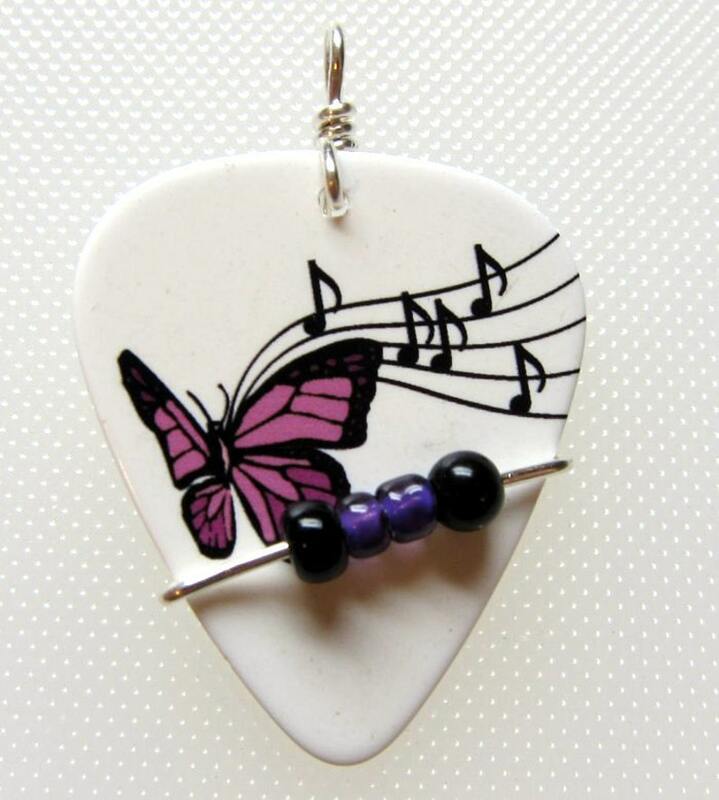 Purple butterfly with musical notes on a white medium gauge guitar pick. The pick is decorated with purple and black seed beads for highlights. You get your choice of a guitar pick necklace with a 22 inch black satin cord or a 20 inch ball chain. You can also have a keychain or bookmark with this guitar pick. This pick is wire wrapped with silver plated copper so it will not rust or tarnish.